Packed with a strong roast flavor and filled with fruity and spicy hops, this dark porter, straight from cornwall, is a beer any ale lover would adore. It can be enjoyed on its own, but it complements meat dishes, shellfish and oysters very well. The name comes from an old St. Agnes legend about the giant Bolster, who terrorized St. Agnes. When slain, his blood was jet black. 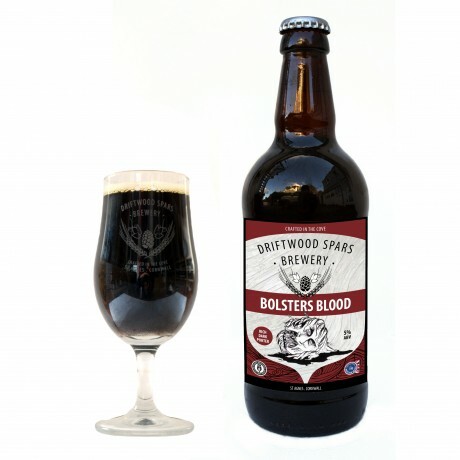 Comes in a case of 12 Bolster's Blood Bottles. Each bottle is 500ml, 5% ABV. 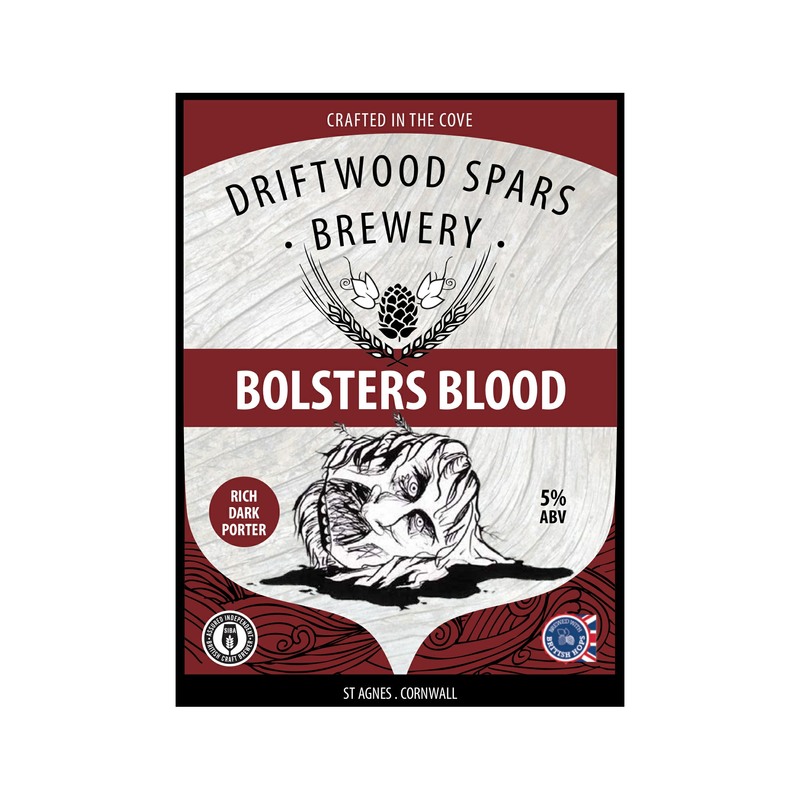 Driftwood Spars Brewery also have a Taster Pack listing if you wish to try out a selection of their beers. 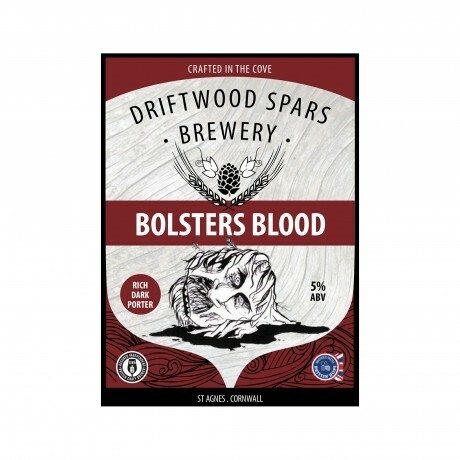 This artisan product is made by the Driftwood Spars Brewery, a multi-award winning micro-brewery. Established in 2000, it is part of the Driftwood Spars pub and B&B, and located in Trevaunance Cove, St Agnes, Cornwall. Pete the brewer prides himself on using only the finest British ingredients to brew fine, hand-crafted ales which give wine a run for its money. They are a leader in the food and craft beer revolution, as their impressive range of ales aren't only designed to be enjoyed with a great meal - they can also be used as cooking ingredients! I ordered the mixed case for my Father's 80th Birthday. I am always looking for different present ideas and as he likes beer and this was a British brewer it seemed ideal, I am in Australia so organising presents can be tricky. This was seamless, from placing the order, receiving confirmation, through to him receiving the beers on the day requested, it all ran smoothly. Great product and great service. Thank you. Shame I won't get to sample the beers myself! The gluten free beer actually tastes really good! The gluten free beer actually tastes really good! I'm not coeliac but my girlfriend is so by default I have tried quite a few gluten free beers and most of them are pretty dire. Unexpected on the other hand is great, to the point where I will quite happily nick a few out the fridge if I get the chance. Keep it up Driftwood.